David Staley and Angela Paterson enjoy being out in the community much more now that David’s emotional outbursts have lessened greatly under the care of Housecall Providers. Angela Paterson was seemingly out of care options for her husband David Staley when a staff member at OHSU’s Richmond Clinic recommended Housecall Providers. Staley, who suffered from a traumatic brain injury during a rollover car accident in 2013, struggled to control his emotions when in a public setting. Even being able to go into a clinic was remarkable for a man whose prognosis after the accident was as grim as they come. The family was told that David would be in a vegetative state, on a feeding tube and on oxygen for the remainder of his life. “We knew that David was such a strong-minded person that we told him not to listen to what the doctors were saying, even though, at the time, he was in a comatose state,” says Paterson. 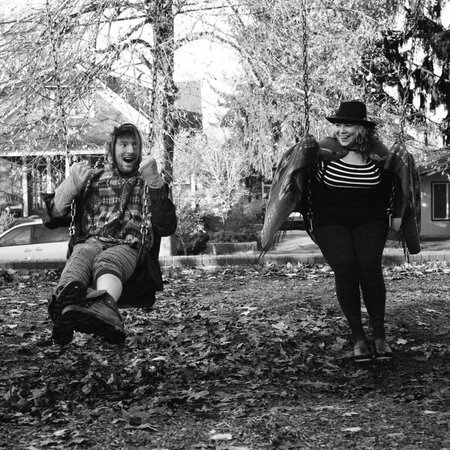 Just as his family predicted, David fully came around and was moved to Gresham Rehabilitation, where after a year of continued progress, he was able to return home to Angela. Still, the road to recovering from such a serious injury is marked with ups and downs, and David’s unstable behavior was beginning to erode the positive strides he had made. She feared that David would have to be moved to a facility because his outbursts were beginning to negatively affect their living situation. “Medical marijuana really worked to lessen David’s aggressive behaviors for a while but it was a very expensive solution at nearly $600 dollars a month. Once it would wear off though, we’d be right back where we started,” says Paterson. Since they had CareOregon insurance, Paterson thought that there had to be more cost-effective pharmaceutical options that could help him control the emotional outbursts. The referral from Richmond Clinic to Housecall Providers (part of the CareOregon family) was a major turning point in their lives. “When we met Ivan for the first time, we had a long list for him,” remembers Paterson. While the aggression and tantrums were the first on the list that primary care provider Ivan Wang, PA, tackled, it was his systematic approach to experimenting with medication combinations and treating David’s physical complaints together that became the blueprint for his eventual relief. 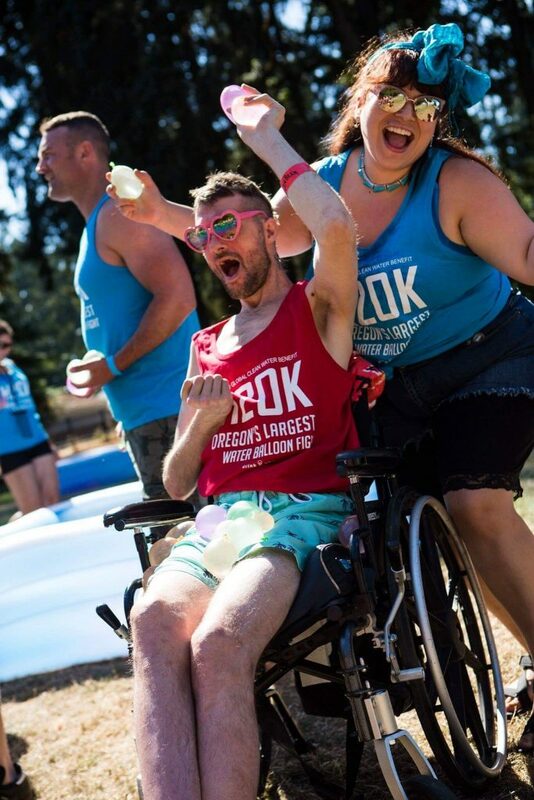 Patient David Staley and Angela Paterson teaming up recently at H2Ok, Oregon’s largest water balloon fight. Angela also credits Ivan with diagnosing and treating David’s bladder spasms. Getting that under control meant that they no longer had to travel with a commode even for short distances. With his emotions more stabilized and his physical condition improving, David is now enjoying the daily activities that many take for granted – like going to a park or running errands. While David can stand and walk with assistance, both are hopeful that with hard work, focus and time, he will be able to walk on his own again. “We were never able to go to the grocery store together. Now, when we go, he can pick out what he likes and get all the stimulation that comes from being out in the city. He enjoys life out of the house more because he doesn’t get so upset,” says Paterson. Now, five years since the accident, the road ahead is looking a lot less isolating for Angela and David. They both work at their company, DABooth, an interactive custom photo booth service. “It is great to have David back,” says Paterson. They are also noticing that they are being invited out to do things once again.